Prague, 5 February 2018. The competition for a proposal of a Pan-European Memorial for the Victims of Totalitarianism in Brussels, announced by the Platform of European Memory and Conscience in April 2017, has yielded thirty-nine entries from artists and architects. The entries have been forwarded to the Jury, which includes EC Commissioner for Education, Culture, Youth and Sport, the Deputy Mayor of Brussels, the Chairman of the Brussels Urban Art Committee and several authors of existing memorials. The competition, organised by the Platform of European Memory and Conscience, is held under the patronage of European Parliament President Mr Antonio Tajani, of EU Commissioner for Education, Culture, Youth and Sport Mr Tibor Navracsics and of the Ambassador of the Czech Republic to Belgium Mr Jaroslav Kurfürst. The goal is to propose a first-ever pan-European memorial for all victims of 20th century totalitarianism in Europe on the Place Jean Rey, in the heart of the European district in Brussels. The Memorial should also celebrate the process of European integration as an achievement made possible by learning from the lessons of the past. Sixty-eight contestants from thirty-two countries of Europe, North and South America, Asia, Africa and the Middle East had registered for the competition. Thirty-nine anonymous entries received by the 15 January 2018 deadline were forwarded to a Jury which includes EU Commissioner Navracsics, Deputy Mayor of Brussels Mr Geoffroy Coomans de Brachène; Chairman of the Brussels Urban Art Committee Mr André-François Lovinfosse; Mr Michael Arad, author of The National September 11 Memorial & Museum in New York; Ms Julie Beckman and Mr Keith Kaseman, authors of the Pentagon Memorial in Virginia, USA; and Mr Andrea Grottaroli, author of the Jewish Deportation Museum in Borgo San Dalmazzo, Italy. 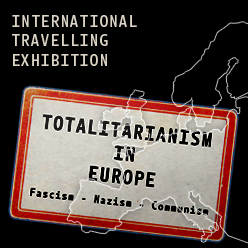 The winning entries will be presented in the European Parliament in April 2018. The competition website: www.memorialbrussels.eu . “The large number of participants and entries in our competition is a very good sign. It proves that remembrance of the victims of totalitarian systems is of importance not only for their families or memory institutions, but also for many other people, including artists and architects. The contestants used their own sensitivity, professional skills and experience to create a symbol of the tragic fate of the victims for Europe’s capital,” says Platform President Dr. Łukasz Kamiński. 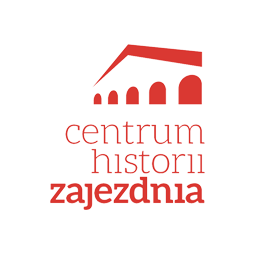 Copyright © 2019 Platform of European Memory and Conscience. All Rights Reserved.